Located on a hillside in the popular town of Bophut, Mantra Samui Resort offers guests some of the most spectacular panoramic views of Koh Samui's beautiful coastline. Guests can enjoy these views in peace while being only a short distance from countless shops, an array of local restaurants and some of the most stunning beaches you have ever seen. The complimentary shuttle bus service allows ease of travel to all of these local hot spots. Surrounded by sun beds and commanding lovely views over the beach, the resort’s 24-meter infinity pool is a great place to beat the heat. It also features a popular swim-up bar. Start the day with the scrumptious complimentary breakfast, then sample both international and Thai dishes at the onsite restaurant, the View. Pamper yourself with the range of treatments available at Jai Spa. Spacious, luxurious suites overlook the island’s beautiful coastline and the blue sea beyond. High-tech perks include free WiFi, satellite TVs with 23 channels, and a free in-room IP Phone that keeps you connected to your family and friends all around the world. 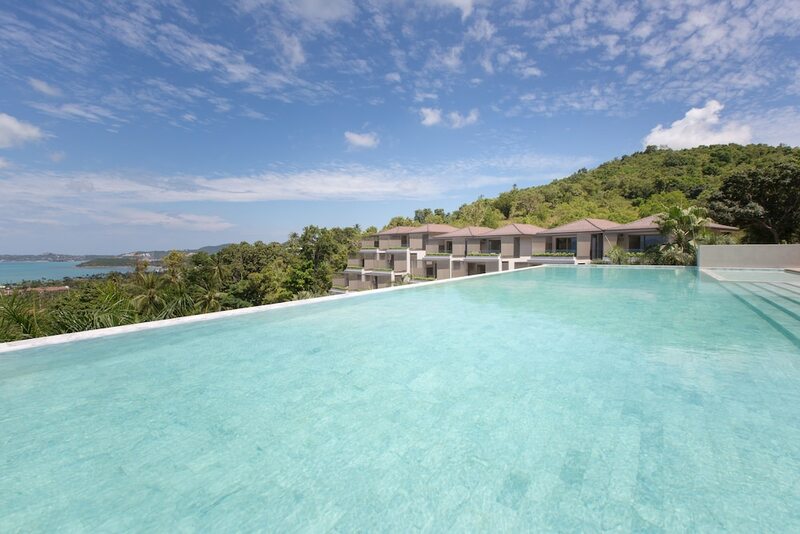 In addition to a full-service spa, Mantra Samui Resort features an outdoor infinity pool. The resort offers a restaurant, serving a wide selection of western and Thai dishes, and guests can unwind with a drink at the resort's poolside or in-restaurant bar. Public areas are equipped with complimentary WiFi. This luxury resort also offers free self parking and a children's pool. A complimentary shuttle bus visits to local hot spots several times a day, and for a surcharge, the property provides a round-trip airport transfer service (available on request) and a ferry terminal shuttle. 24-hour concierge service is also available. Complimentary cooked-to-order breakfast is provided each morning between 7 AM and 11 AM. the View - This poolside fine-dining restaurant serves breakfast, lunch, and dinner. Guests can enjoy drinks at the bar. A children's menu is available. Reservations are required. Start your day with a free cooked-to-order breakfast, available daily from 7:00 AM to 10:30 AM. You can order up room service during limited hours. An outdoor pool and children's pool are on site. Jai Spa has 4 treatment rooms including rooms for couples. Services include massages, facials, body wraps, and body scrubs. A variety of treatment therapies are provided, including Swedish and Thai massages. This property offers transfers from the ferry terminal and airport (surcharges may apply). Guests must contact the property with arrival details 72 hours prior to arrival, using the contact information on the booking confirmation. Reservations are required for massage services and spa treatments. Reservations can be made by contacting the resort prior to arrival, using the contact information on the booking confirmation. No pets and no service animals are allowed at this property.